Do you want to become a confident public speaker while picking up some serious leadership experience? If so, Toastmasters is the place for you! 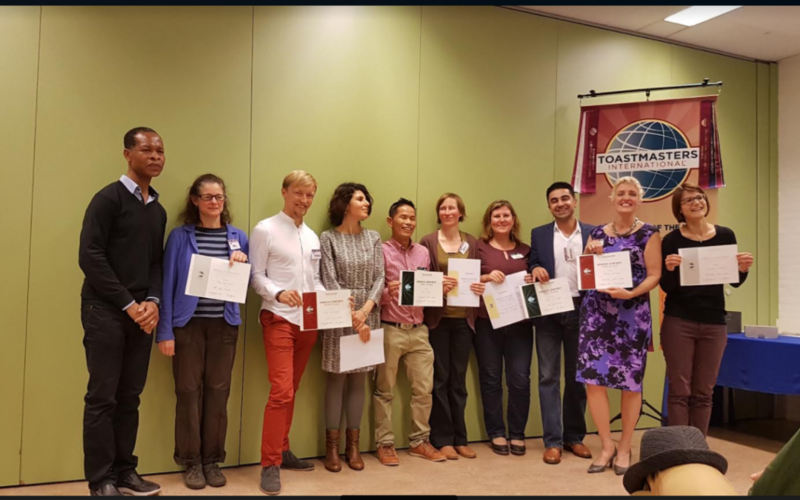 At Toastmasters, you learn by doing, and your fellow club members help you reach your goals at your own pace. During their mini TM meeting at the Feel at Home Fair you’ll get to see how this all works in practice, participate – if you wish – in the impromptu part of the session, talk with their members and ask any questions you might have about Toastmasters and public speaking.